One of our absolute favorite parts of finishing a project is when we get to go in and style everything. The details really bring everything together, and make it feel like home. And because it's one of the things we get the most questions about, we're showing you just how we do it. Start with a completely blank slate. I know, that's a pain. But honestly, it's the best way to really move things around so bite the bullet and clear the shelves! Then, slowly start adding things back in. I recommend books first because then you can really define the spaces with the books. Try different variations of book stacks - vertical and horizontally. Once you've added in books, start adding some decorative accents. These are the places for all those random little items around your house. 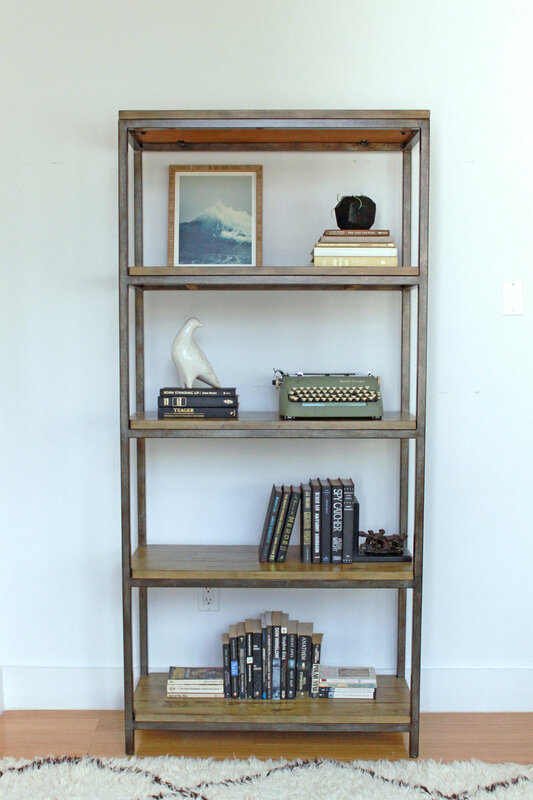 These are perfect for filling in the spaces between books and creating a more authentic and curated style. Don't forget to add some varying height. Lean a framed picture up against the wall or back of the bookcase, or build on a stack of books. Add some texture. Mix in plants to give texture and depth to any finish bookcase, but make sure you add in at least one other material too. Lastly, make sure it's all balanced (or intentionally unbalanced if that's your preference!). Overall, it should feel like there is enough stuff to make it full, but some breathing room around some of the decorative elements. You should be able to see some mini vignettes throughout the bookcase.